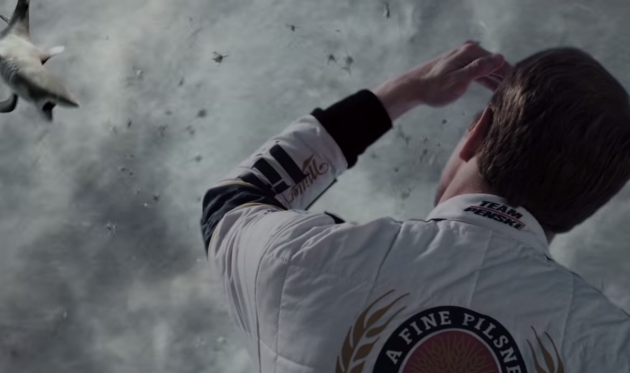 NASCAR driver Brad Keselowski releases viral video for his Sharknado 3 cameo. 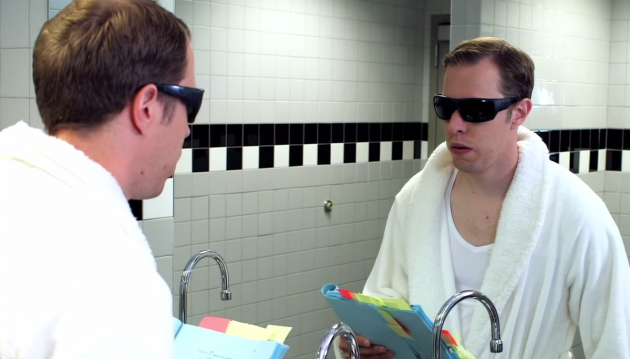 Brad Keselowski is known as one of the most annoying drivers in NASCAR–just ask former champions Jeff Gordon and Matt Kenseth who have both brawled with him after races–but now Keselowski is playing into that annoying persona more than ever by releasing a social media video hyping up his cameo in the new Sharknado 3 movie. Watch out Brad, it’s coming right for you! Okay, so maybe he wasn’t exactly wasted, but he just won the championship and that huge Miller Lite had him feeling pretty good. This season has been up and down for Keselowski. He won earlier this season at California, but is only 7th in the overall point standings.